Twitter Shares Fall, Ending A Hard Week For Social Media Stocks Twitter's stock tumbled 20 percent on Friday, despite the company's growing revenue. It mirrored Facebook's sharp drop earlier in the week, as investors worry that social media growth may be ebbing. On Friday, Twitter reported a decrease in the number of monthly users on the site. The company's stock tumbled 20 percent. Social media companies have not had a good week in the stock market. Twitter's shares fell 20 percent on Friday, after the company announced that it had lost users. The number of monthly Twitter users dropped from 336 million to 335 million, according to the company's latest financial release. The decline came despite Twitter's simultaneous announcement that its revenue is up a whopping 24 percent this year, and posted a record profit of $100 million. But that wasn't enough for investors. Twitter has been aggressively purging their website of millions of suspicious user accounts, deleting bots and other accounts that it believes are fraudulent or violate the company's anti-spam policies. The crackdown was meant to restore public trust in the platform. Twitter has been criticized for allowing users to use hateful, violent and racist language, and, along with Facebook, has been a tool for Russian influence, as NPR has reported. In the financial report released Friday, the company acknowledged that "our work sometimes includes the removal of accounts, some of which are included in our metrics," but that getting rid of problematic accounts will make the service more user-friendly, driving future growth. The company's chief financial officer, Ned Segal, wrote on Twitter earlier this month that most of the deleted accounts are never counted in the company's user metrics. Nonetheless, the newly announced decline in monthly users clearly worried investors. 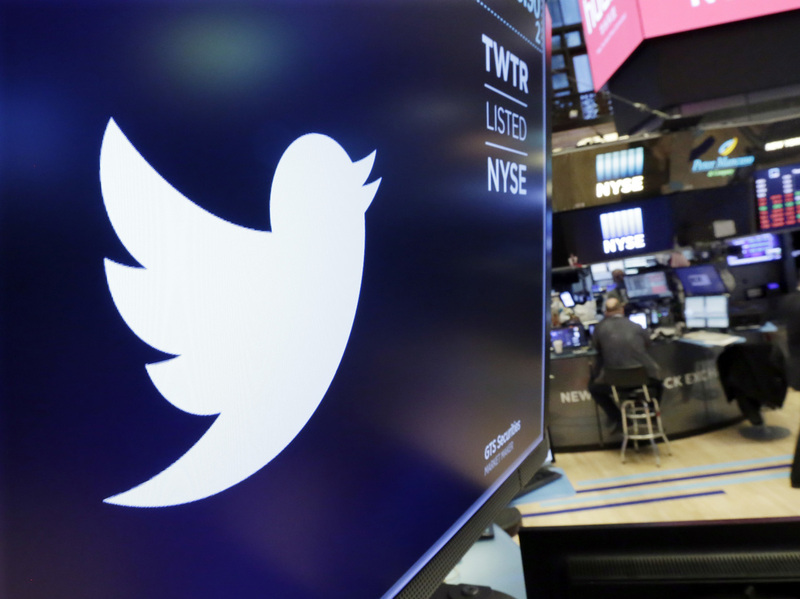 Twitter's slide comes one day after Facebook's stock took a huge hit, losing $100 billion in value, after the company announced its profits had grown by a third, but that it expected revenue growth to slow down for the rest of the year. Social media companies, and tech stocks in general, have been reliable drivers of stock market growth in the past, but data breaches, privacy scandals and questions about how social media sites should be regulated have made some investors anxious. Earlier this year, weak tech stocks dragged down the Nasdaq composite index. Facebook's stock continued to fall on Friday, and the Nasdaq composite was down more than 1.6 percent.